(BBCnews) Citadel spread by being included with pirated versions of Window. 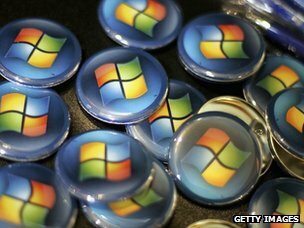 The FBI and Microsoft have broken up a huge network of hijacked home computers responsible for stealing more than $500m (£323m) from bank accounts. "The bad guys will feel the punch in the gut," Richard Boscovich, a spokesman for Microsoft's digital crimes unit said. Despite the widespread action, which involved seizures of servers that co-ordinated the running of Citadel, the identity of the botnet's main controller is unknown. However, Microsoft has started a "John Doe" lawsuit against the anonymous controller, believing him to use the nickname Aquabox and be based in Eastern Europe. In addition, the FBI is working with Europol and police forces in many other countries to track down and identify the 81 "lieutenants" that helped Aquabox keep Citadel running.